The City of Rutland takes title to a number of properties throughout the year, generally through tax sale. 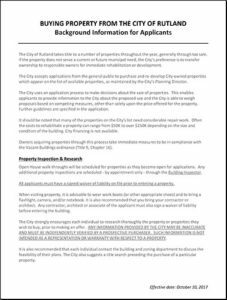 The City has established an application process to facilitate the purchase and redevelopment of properties. Buy now – no city property taxes until August 2019! 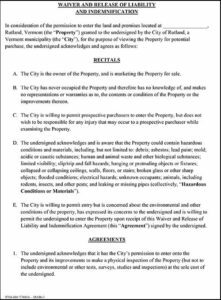 Rutland City has a Blighted Properties Initiative that can incentivize purchases, depending on the property. 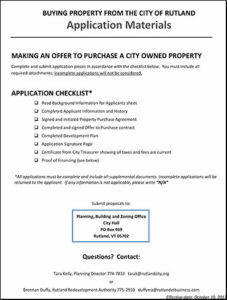 More information can be found under the Revitalization Work tab - Blighted Properties Initiative - or by calling 775-2910.